False lily of the valley (Maianthemum dilatatum) is one of those plants you see in the Pacific Northwest all the time in shady, forested riversides. 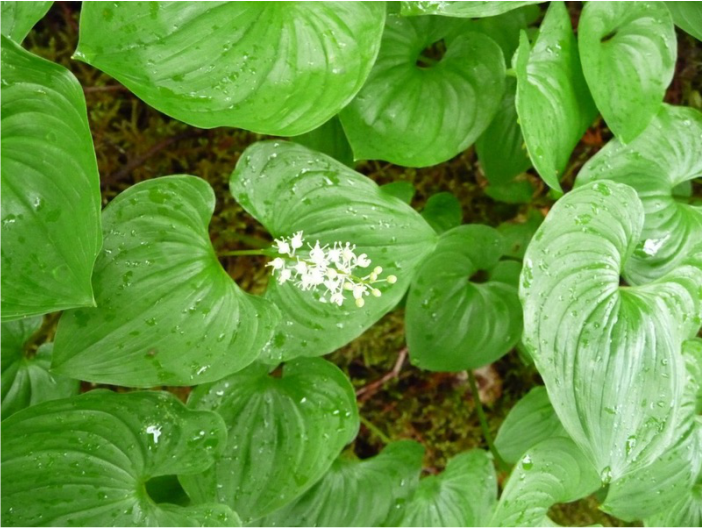 Most of us never know that it’s a crisp and lightly peppery edible wild plant. I love using these as a lettuce wrap, they look and taste gorgeous. 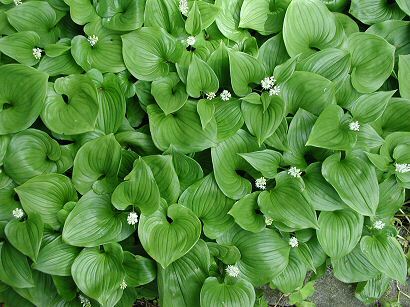 Not to be confused with actual lily of the valley (Convallaria_majalis) which is deadly poisonous, but isn’t a native BC plant. Near rivers in shady forests, sitka spruce forests near the sea especially. Lily of the valley which doesn’t grow naturally in the Pacific Northwest but can be found in cultivated gardens. Corn lily (Veratrum viride) is a poisonous native BC plant that grows more like a corn stalk and is much larger with multiple leaves growing from the stalk. Still a good one to know. Higher elevations, open stream areas.